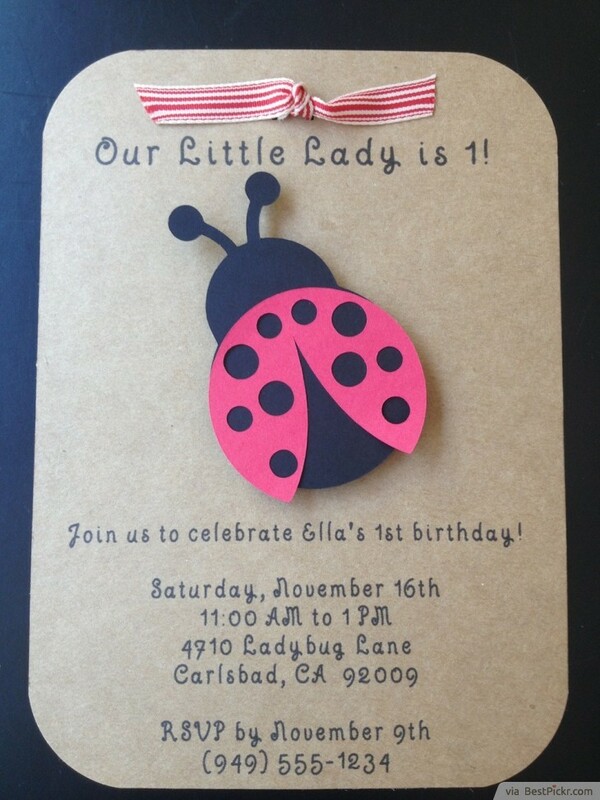 This adorable cute ladybug invite card design is perfect for your girls' birthday party at home and if you don't have time to handcraft each invitation yourself. It has cute little bug with pink wings and black dots, with a bow tie ribbon at the top on vintage looking Kraft paper heavy card stock, sealed inside an envelop. Even though the writing is printed, it looks authentic like hand written invitation for your all important little princess party!